Our planets resources are running out. The media bombards us with constant warnings of impending shortages of fossil fuels, minerals, arable land, and water and the political Armageddon that will result as insatiable global demand far outstrips supply. But how true is this picture?In Winner Take All, Dambisa Moyo cuts through the misconceptions and noise surrounding resource scarcity with a penetrating analysis of what really is at stake. Examining the operations of commodity markets and the geopolitical shifts they have triggered, she reveals the hard facts behind the insatiable global demand for economic growth. 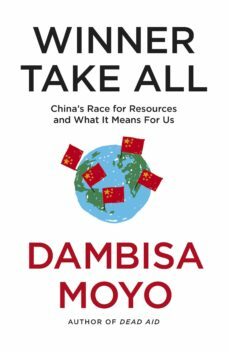 In this race for global resources, China is way out in front.China, Moyo reveals, has embarked on one of the greatest commodity rushes in history. Tracing its breathtaking quest for resources - from Africa to Latin America, North America to Europe - she examines the impact it is having on us all, and its profound implications for our future. What, Moyo asks, will be the financial and human effects of all this - and is large-scale resource conflict inevitable or avoidable?Instead of another polemic, Winner Take All is a clear-eyed look at the realities we all need to face if we want a just, balanced and peaceful global economy for the 21st century.